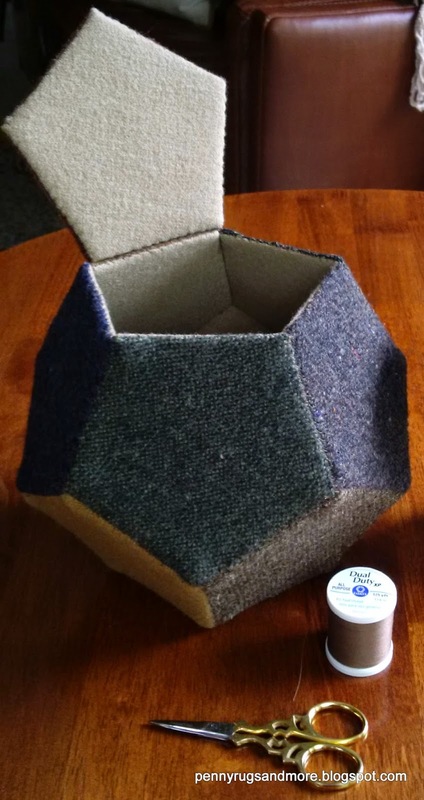 Want to make a woolie pentagon box for your sewing notions? 12 pentagons, 30 edges, and 20 vertices (points)! cut 12 cardboard pentagon shapes. please cut 13 pentagons, the extra will be for the inside of the lid. 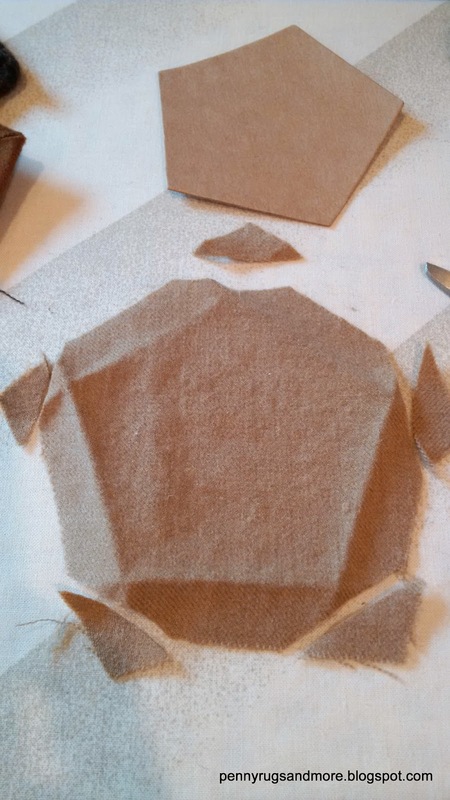 cut 12 pentagons, 1/4 to 1/2 inch larger than the cardboard. 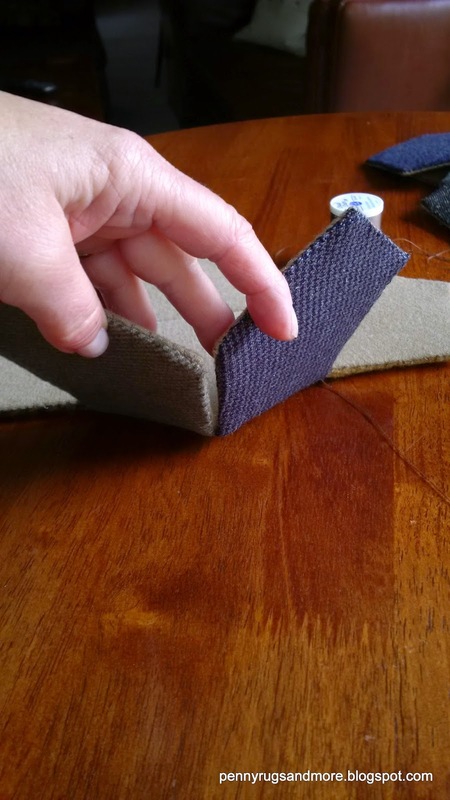 Cut pieces of fusible hem tape to the length of a side. Now trim that piece in half lengthwise. 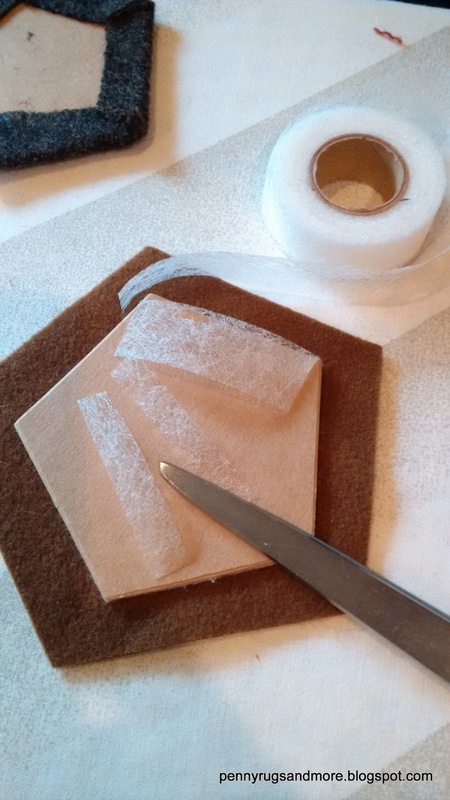 Layer the batting between the cardboard and wool fabric. 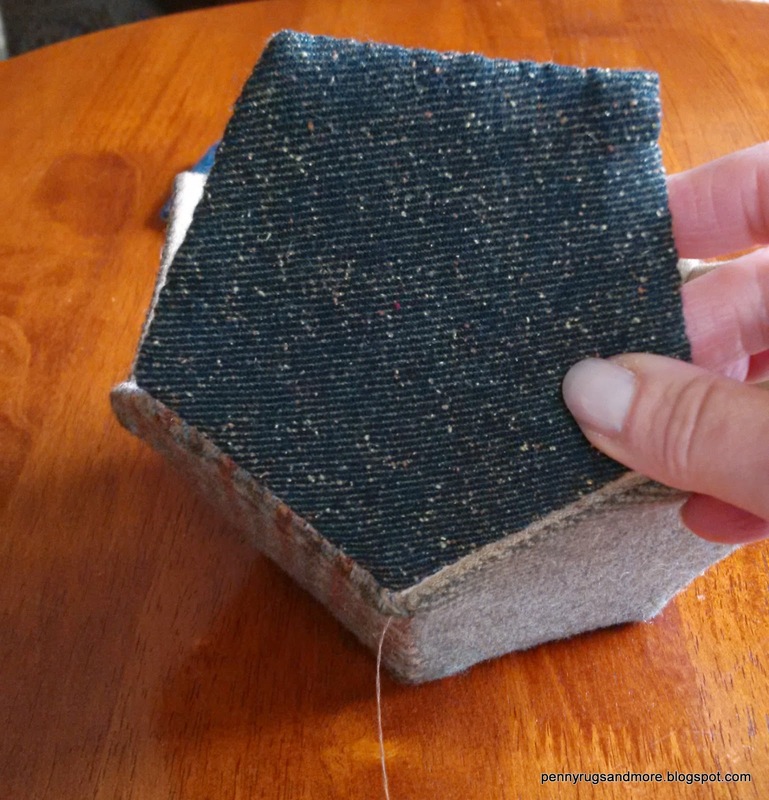 Carefully place trimmed fusing tape on cardboard, fold over the wool fabric and iron. Repeat on all 5 sides. 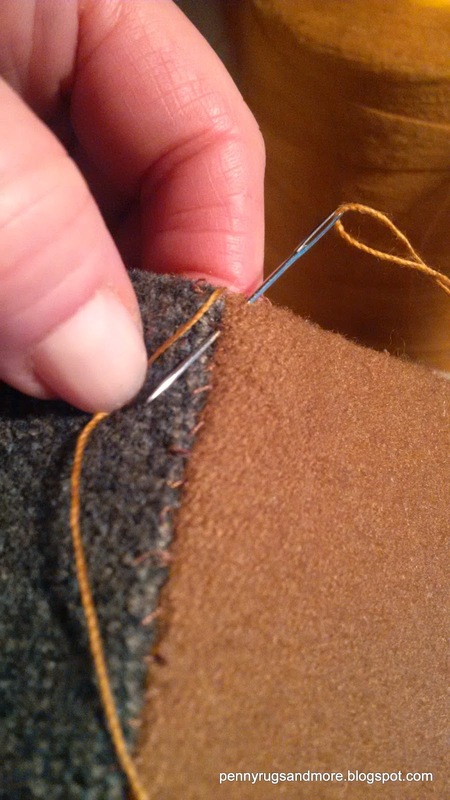 Now press a hem on the lining pieces. 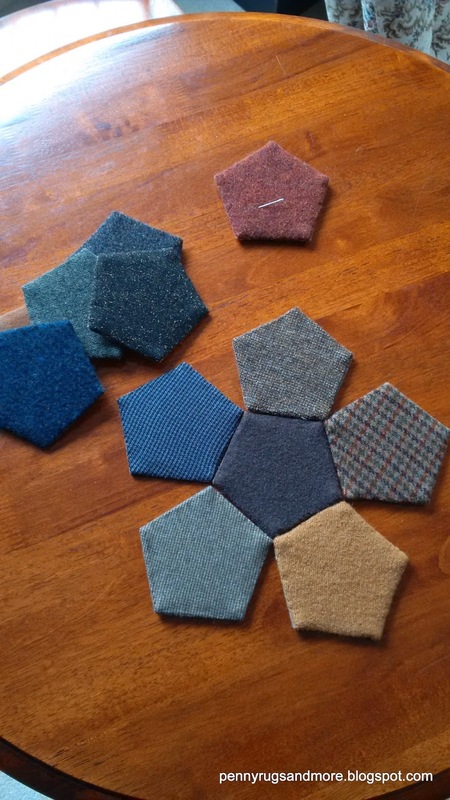 Here are 12 covered and batted pieces with 12 liners ready to stitch. 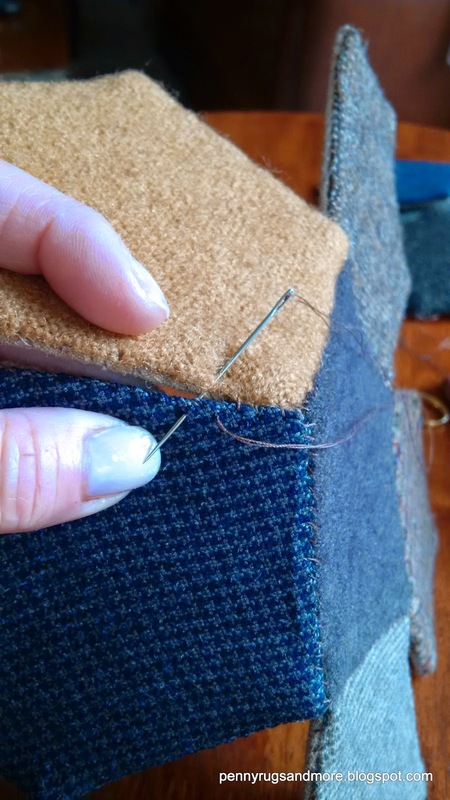 To reduce bulk, trim away the corners on the lining. 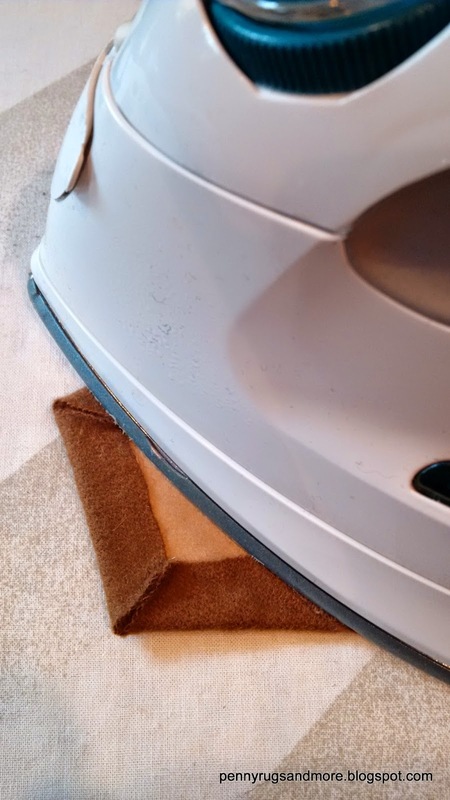 Be careful not to trim past the ironed hem. Leave just a smidge for stitching. 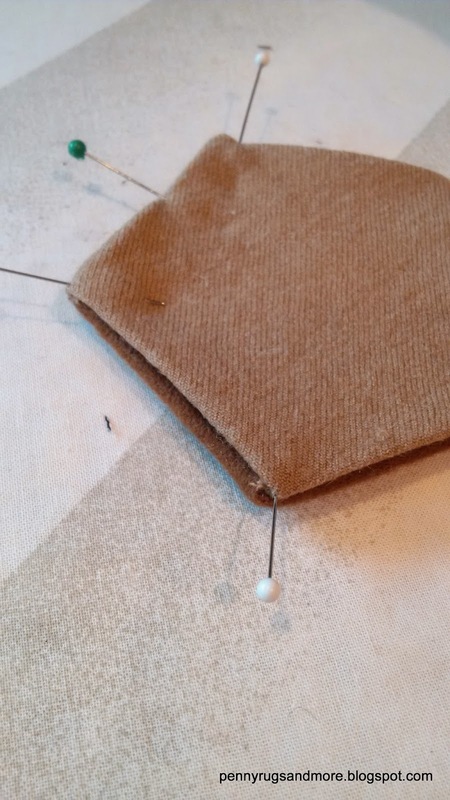 Pin lining to the cardboard side of the wool and batt pieces. 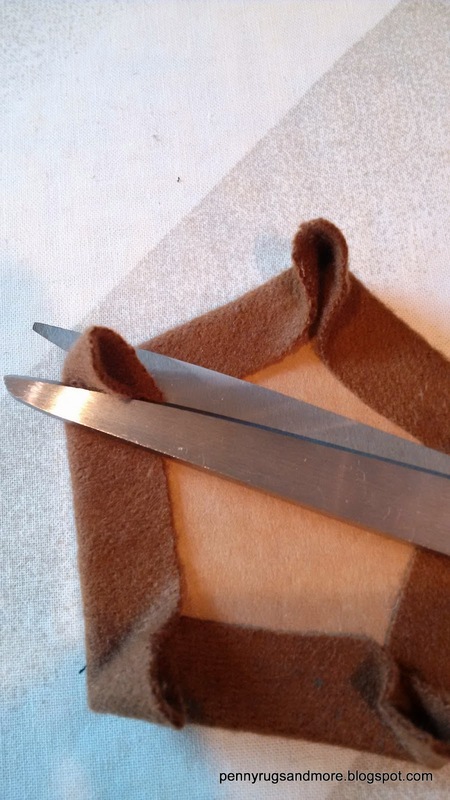 make small whip stitches to join the sides. 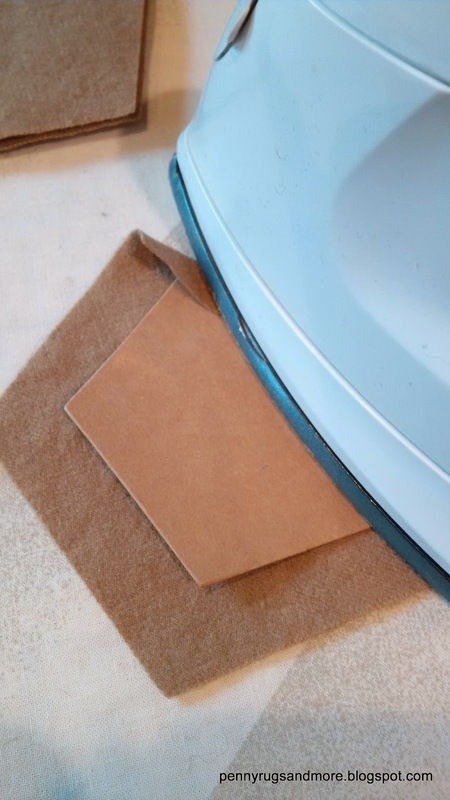 I used Coates and Clark polyester, brown #8360. I chose the red piece to be my lid. It has batting on both sides of the cardboard. Join each side with small whip stitches. 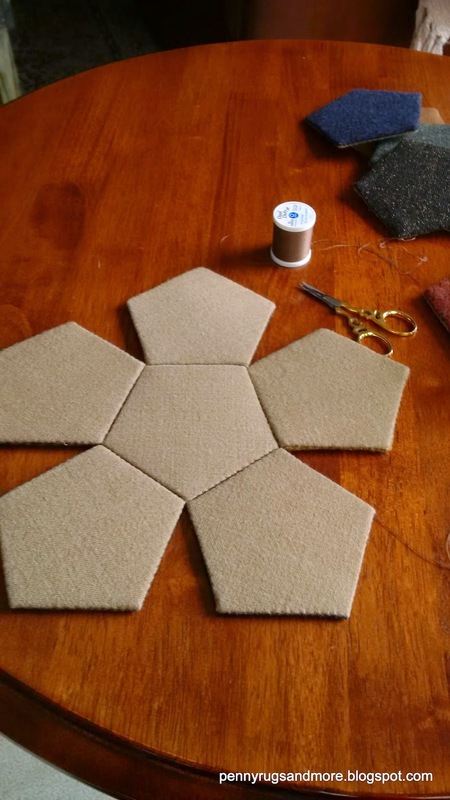 Stitch on the right side of the pentagons. Six pieces joined, place right sides down. 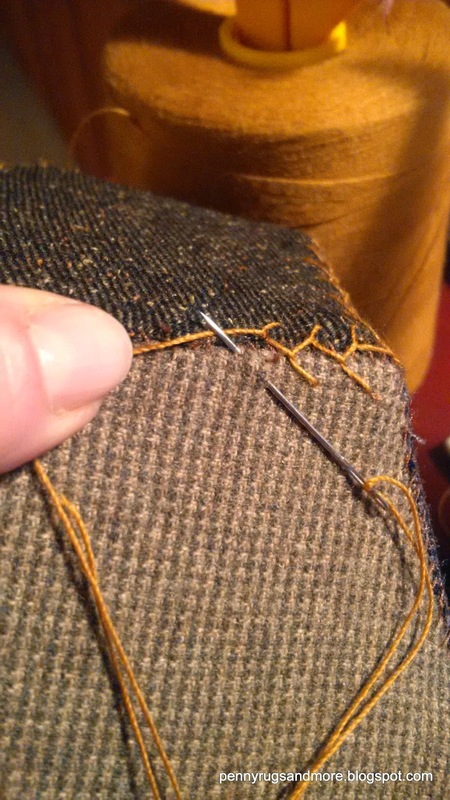 Now bring up the sides and stitch one side at a time. Keep going all the way around the bowl, using 5 more shapes. The last shape is your lid. This is the piece that has batting on both sides. 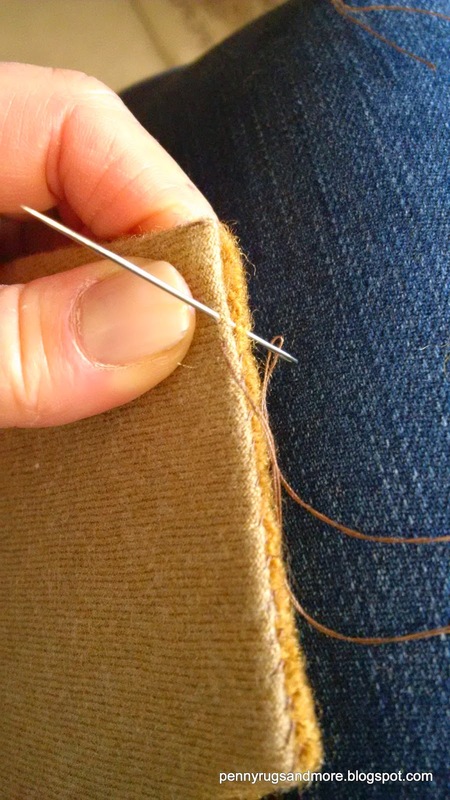 The perfect spot to hold needles and pins! Time to personalize and pretty it up a bit. Embroider with one colour, or a combination of thread colours. Add a fob to hold the lid down. I used a bobbin, a woolie strawberry, and a button! You could use one, or all, or any weighty dangle thing of your choice. 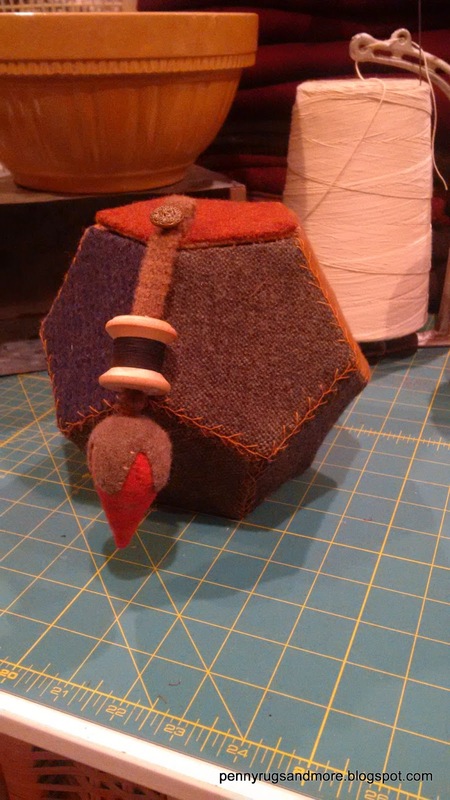 I will be making wool pieced kits for this project, no thread. I'm playing with the shapes to get just the right sized opening. 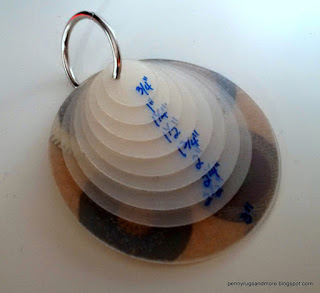 Wonderful piece and wonderful tutorial. 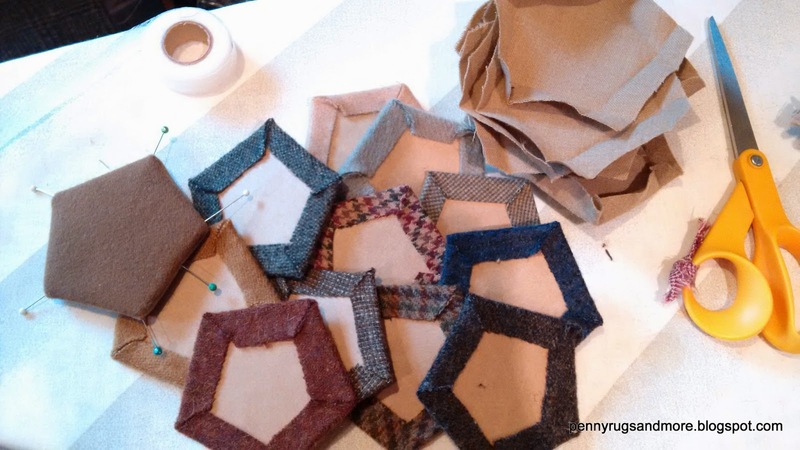 I have made these little boxes but it was several years ago. 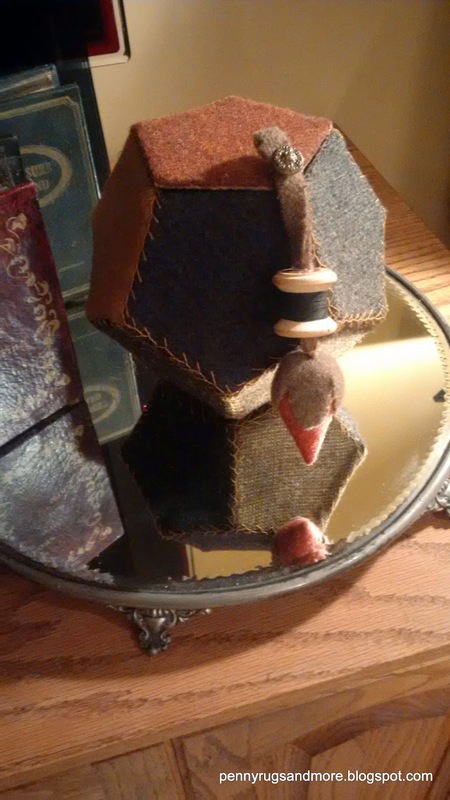 Now I am going to have to make a few more after seeing your wonderful box! I am interested in what measurement you found to work for a side of the template? Hi Melva, the sizes vary and are tricky to measure. Draw a pentagon the size that will be a good opening and will hold a few needles. Hi Melva, I'm still playing with the size, the biggest one is about 5 inches across depending on how you measure a pentagon. You will need to decide on the size of opening you desire, that will be your cardboard and batting size. If you will be keeping needles, make sure they will fit inside the lid. I will be selling templates for this project when I get the sizes that I like confirmed. They will be in my Etsy shop in February 2015. 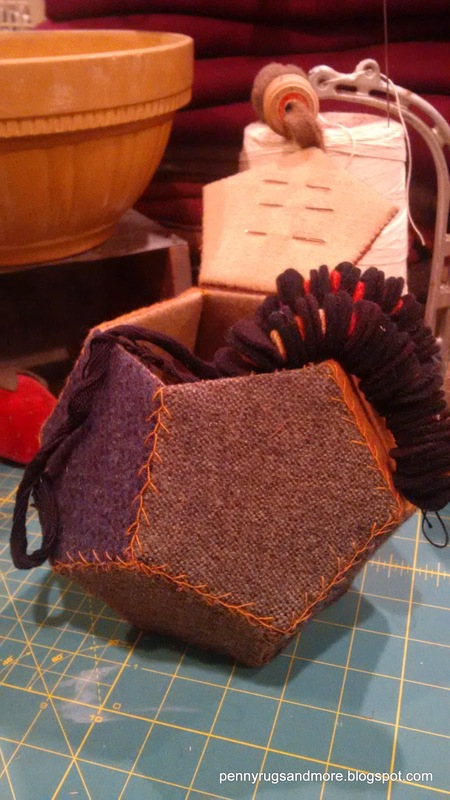 Great job on the tutorial and what a sweet little box my dear friend! 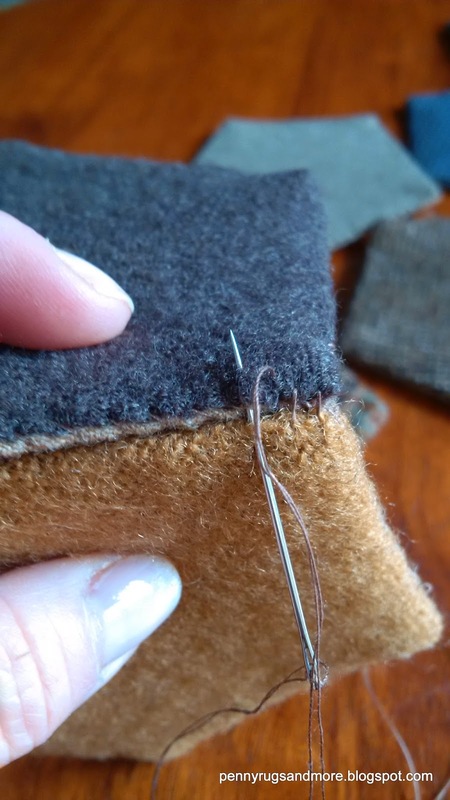 Feather stitching is just perfect! 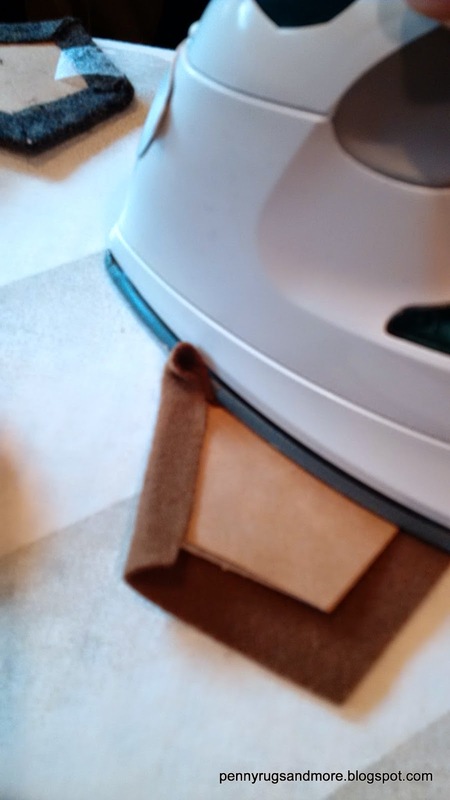 A great little place to store those templates I keep losing.. the only thing that would be more perfect, is more penny rug making?? Your rugs are always very special and unique as are you! Hi Cee, great idea, template keeper! Yes, more rugs to come! Colleen, I love the little box! Definitely want to try and make one. I will keep a look out for the templates when you have them listed. I love it, thank you for sharing the tutorial! 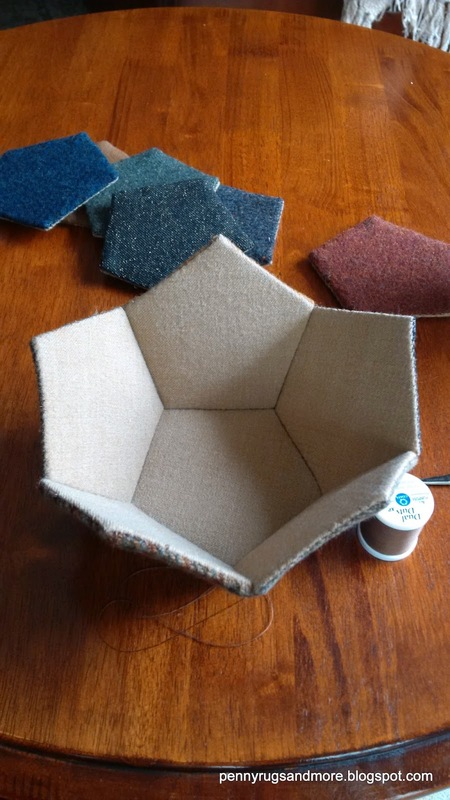 I am definetely interested in a kit for the box - I am new to wool stitching and while I have been collecting wool for years have yet to make my first penny rug. I have been following your blog and love your turorials. Thanks for all the good info. Thanks! Made one several years ago and lost my pattern. 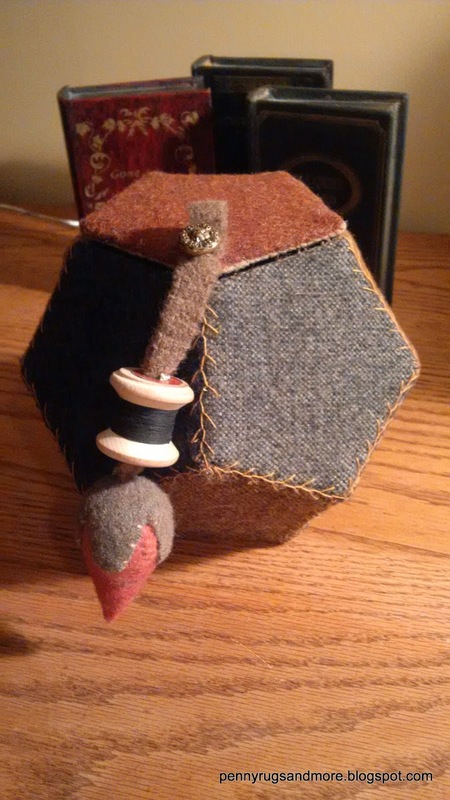 I use it to keep rug hooking supplies together ! How exciting I would like to make one! Hi Susan, thanks so much. If you'd like templates or a kit, check my Etsy shop. I'm happy to do a custom order if my shop listing is expired or out. Hi Diane, thanks for the request. Check your inbox. I'm happy to fill any orders. Hello, thank you for sharing! It's awesome! 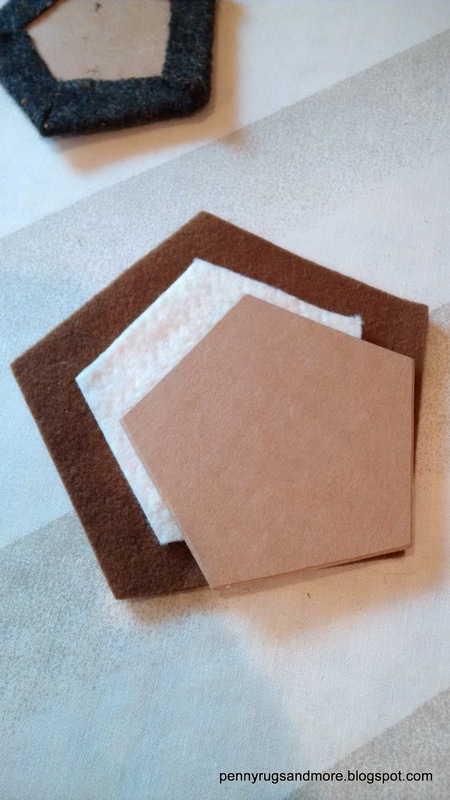 I'm posting a link to the tutorial on a French Quilters forum, giving you credit, of course. I hope that's OK with you. Beatrice, thank you very much for letting me that you like my tutorial and you are going to share my link! That's wonderful and perfectly okay with me. I hope the quilting group has fun with the project. I'm currently trying a teeny size just for fun....may be nice for Christmas ornaments? This is charming! 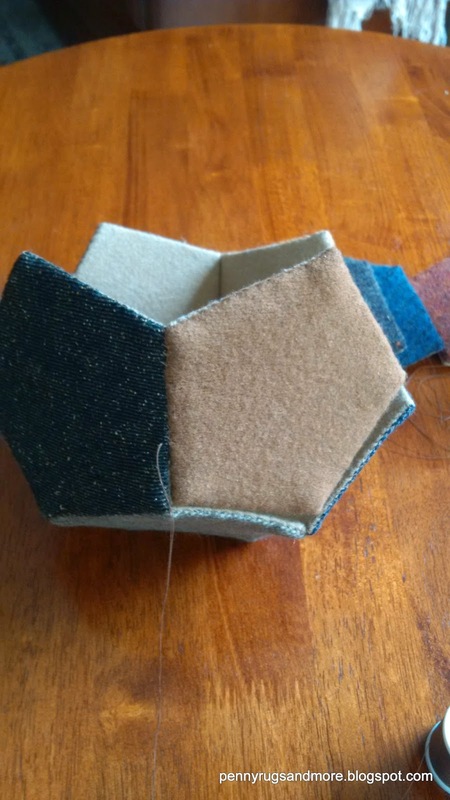 Thanks so much for the excellent tutorial; looking forward to making one.